BURNABY, BC – Dageraad Brewing has announced the long-awaited return of “cursed beer”. 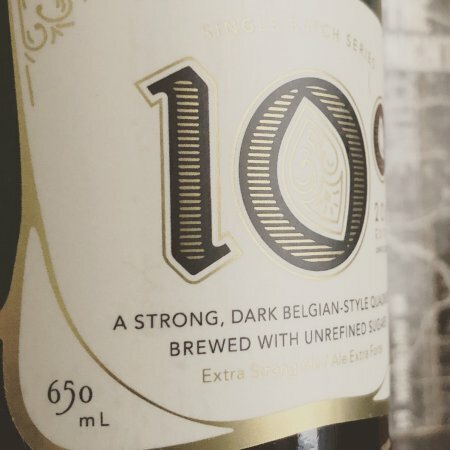 10° (10.5% abv) is a Belgian-style quadruple that was intended to be an annual winter seasonal from the brewery, but has not been available in the last two years due to both batches being lost for different reasons. This year’s vintage escaped that fate, and is now ready for release. Dageraad 10° is our secular homage to the strong, dark ales brewed by Trappist monks in Belgium. The strength of the wort and the addition of exotic, unrefined sugars has tormented the yeast into producing magnificently complex fruit and spice notes to complement the beer’s malty profundity. 10° will be available tomorrow (February 14th) in 650 ml bottles at the Dageraad tasting room, with distribution to select private liquor stores following next week.